We work closely with churches to create growing and sustainable foster care ministries based on a small group model called the FaithBridge Community of Care®. The church’s Community of Care surrounds foster families and foster children in loving, stable environments made up of trained volunteers. The Community of Care helps find resources, such as clothes and toys, and acts as an extended family, providing respite services (overnight childcare), tutoring, babysitting, mentoring, transportation and other assistance, when needed. Providing this kind of support encourages good, stable families to become foster families. Nationally, almost half of the foster families drop out every year because they are overwhelmed. 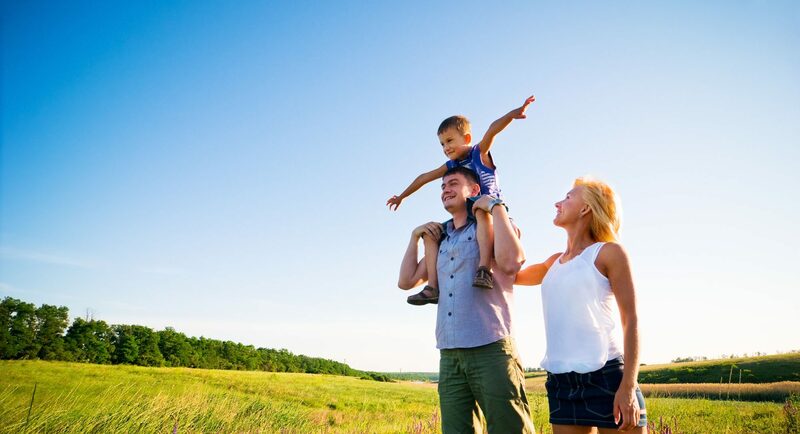 The Community of Care ensures that FaithBridge foster families have the help they need when they need it and is largely the reason for our 96-percent foster family retention rate. 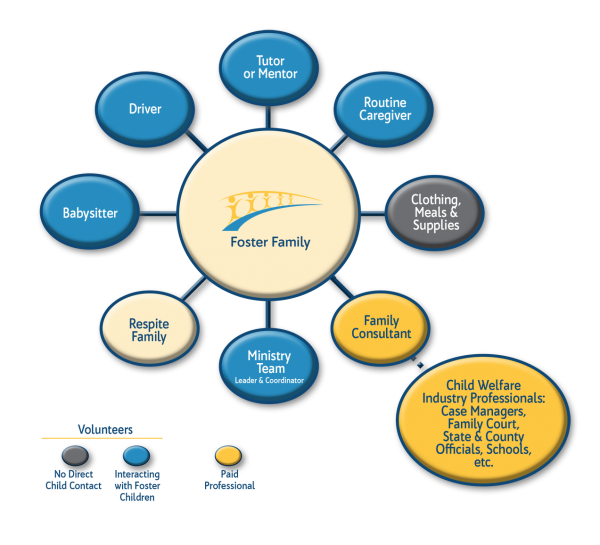 With this model, FaithBridge and churches not only recruit and train foster families but also build a volunteer network surrounding and supporting each foster family.